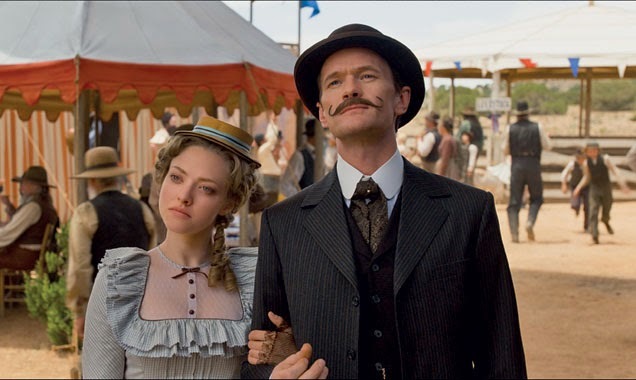 The marketing for this film includes an online flash game that is a funny, entertaining spoof of the classic educational video game The Oregon Trail. Alas, nothing in the film itself quite matches the creativity of that tie-in. 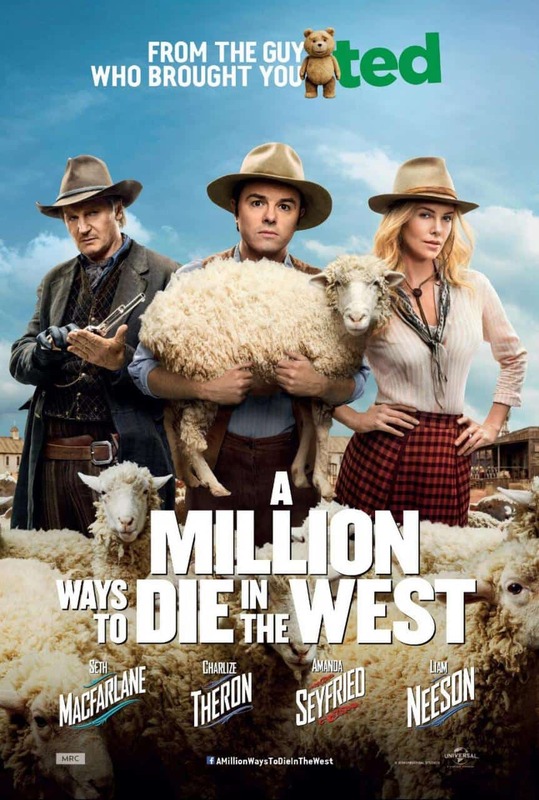 A fair number of the jokes in A Million Ways to Die in the West land, but the film is overly reliant on lowbrow bodily-function gags and “shocking”, cartoony violence. 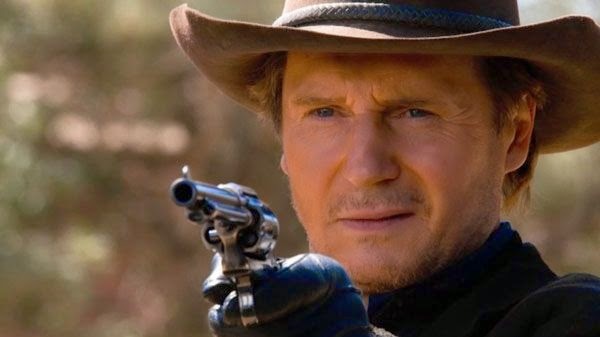 The movies’s biggest laughs are provided by the surprise celebrity cameos and a joke involving an offensively-themed shooting gallery gets a satisfying payoff during the end credits. However, one of the best of these was completely spoiled in a TV spot, making this yet another example of a comedy where the laughs are run into the ground by the trailers.